For any guitarist influenced by the work of Santana, Stevie Ray Vaughn, or Eric Clapton, this 75-minute video takes viewers through the necessary steps and techniques for mastering the rock guitar. 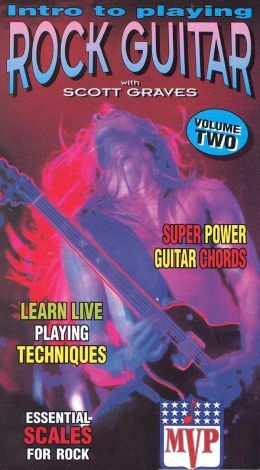 The video is a follow-up companion to volume one, which is a genuine introduction to playing the rock guitar. Scott Graves -- who started playing the guitar at age eight and possesses a master's degree in music -- expertly guides the inspired musician. This video is not for beginners, but for those individuals who have learned the basics and desire to take their education to the next level.